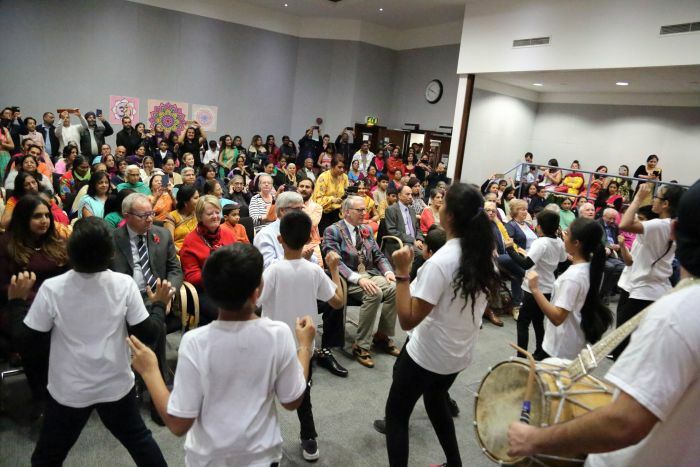 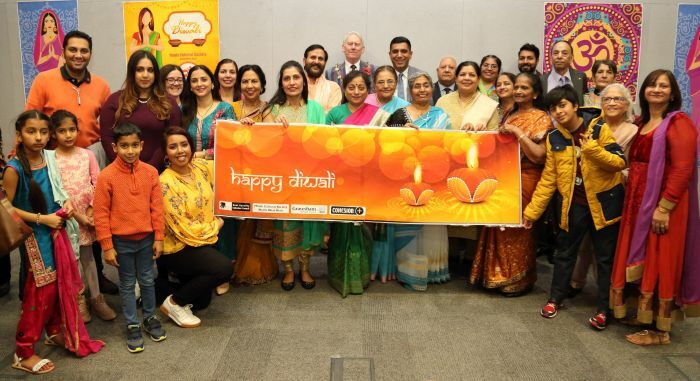 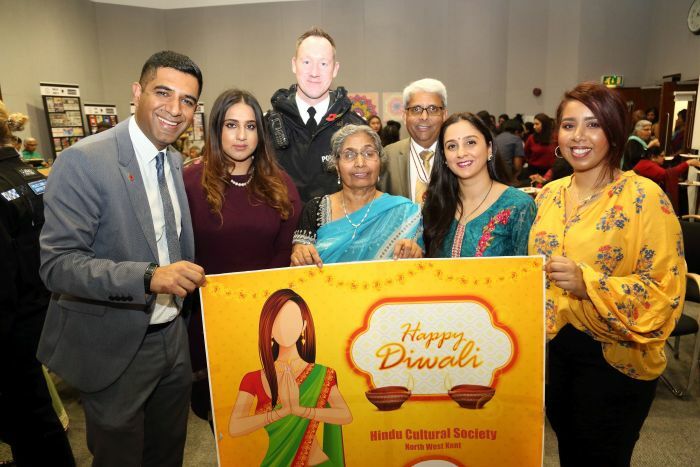 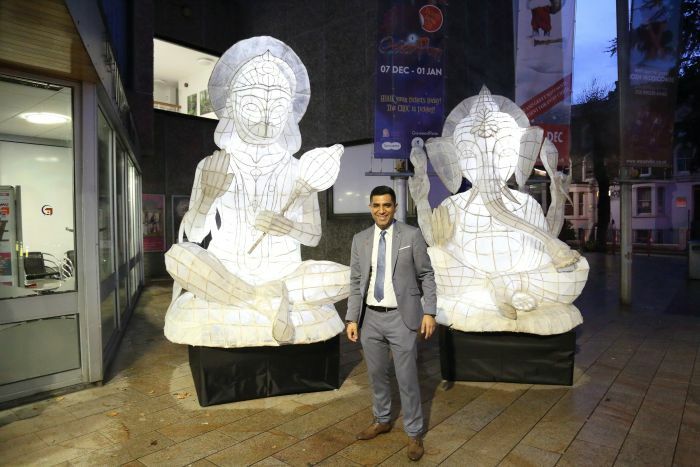 The Mayor of Gravesham Councillor David Hurley and Deputy Lord Lieutenant Dr Bhagwaran Vasudaven were the chief guests at the Diwali celebrations which took place on Saturday 10th November at the Civic Centre in Gravesend. 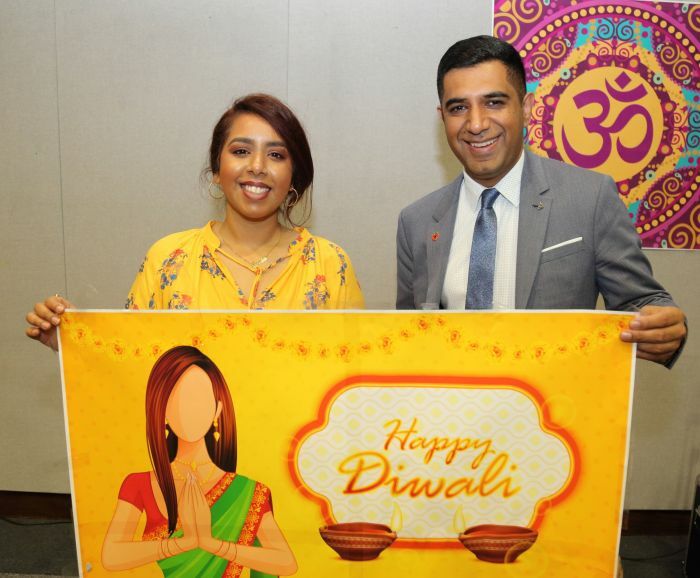 Lanterns and candles were lit to symbolise the essence of Diwali which celebrates the victory of good over evil and light over darkness. 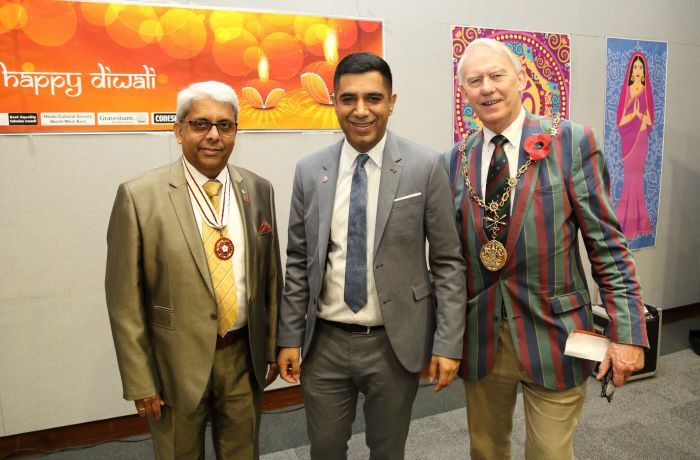 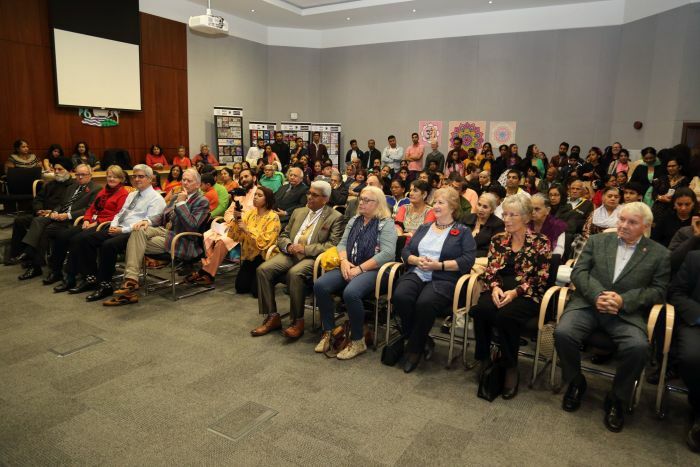 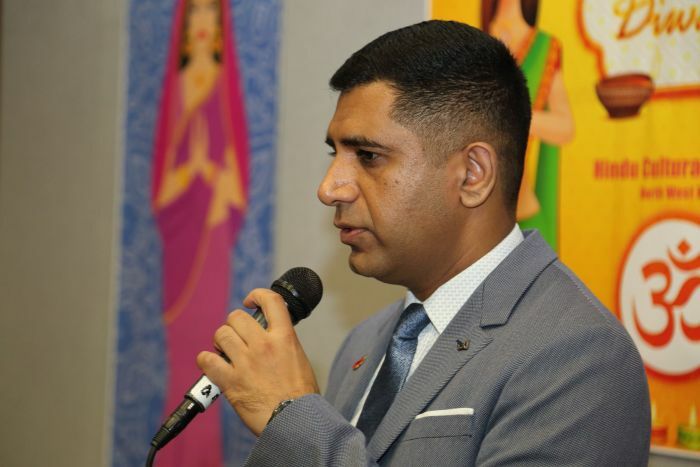 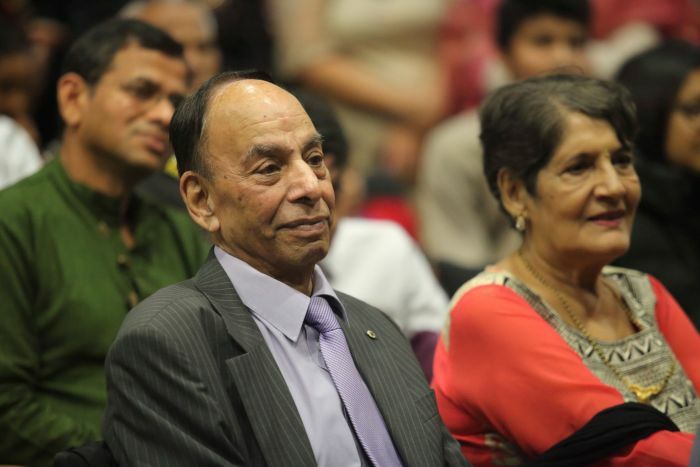 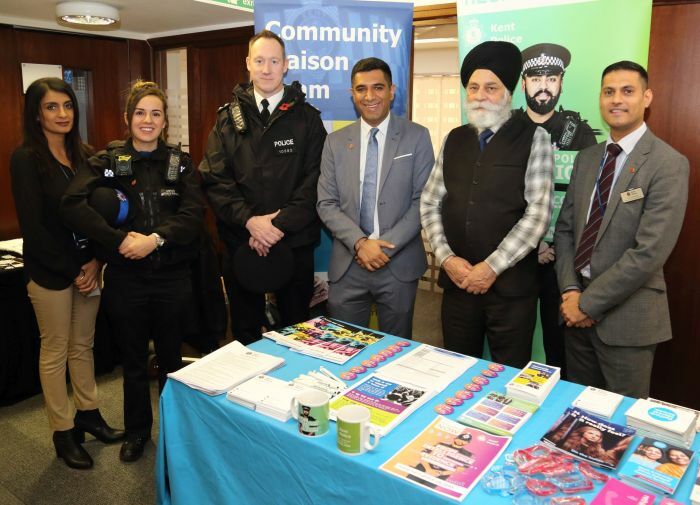 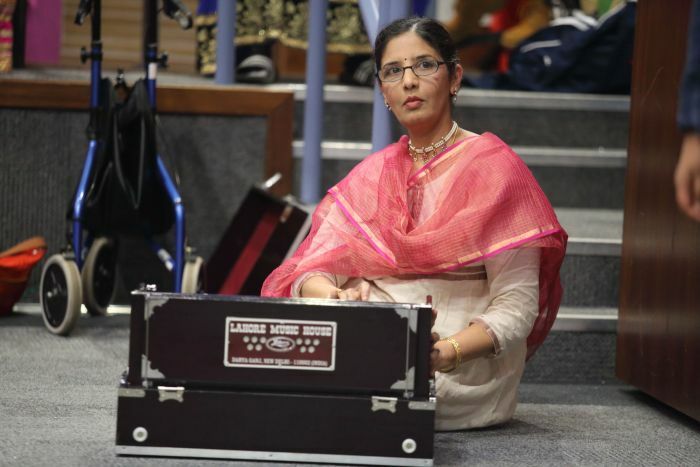 The event was organised in partnership by Kent Equality Cohesion Council, Gravesham Borough Council, Hindu Cultural Society and Cohesion Plus and started with a moment of silence to commemorate the 100th Anniversary of the ending of the First World War. 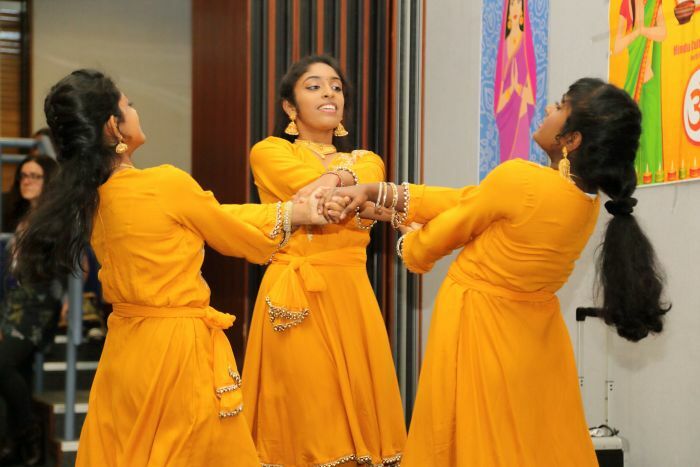 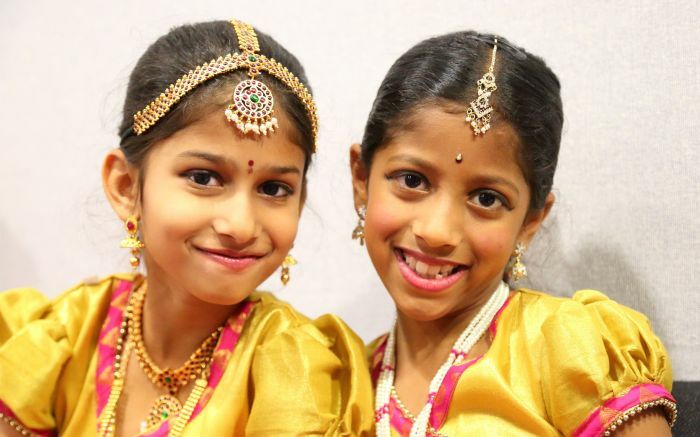 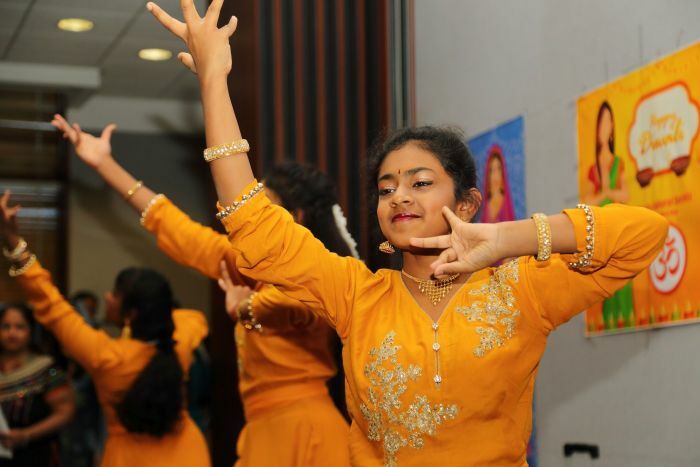 The 300 guests then enjoyed an array of performances by local young people including the Hindu Cultural Society, Saheli Dancers, Gravesend and Gillingham Shakha Group and finale by Four by Four Bhangra Youth Club. 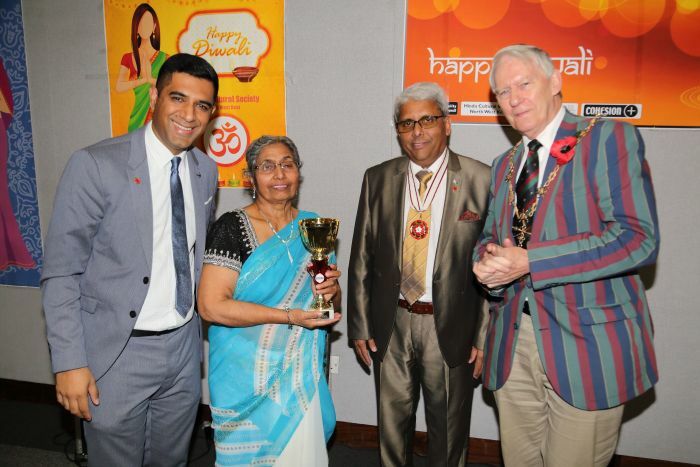 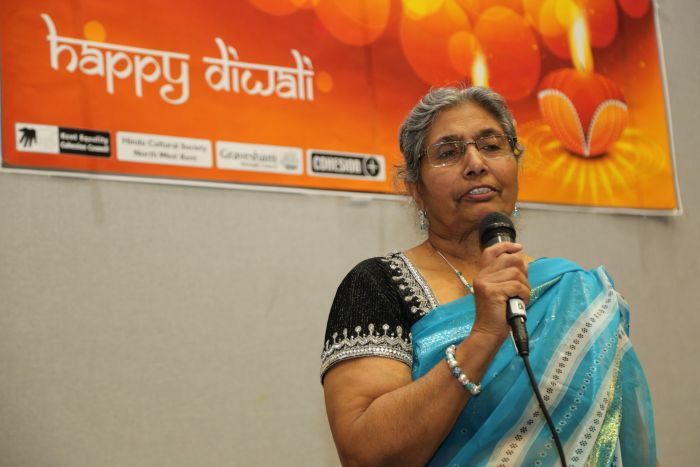 A special award was presented to Mrs Daya Sharma for her outstanding standing service and commitment to the local community over the last 30 years including being one of the leading lights in the establishing of the Hindu Mandir (Temple) on Manor Road. 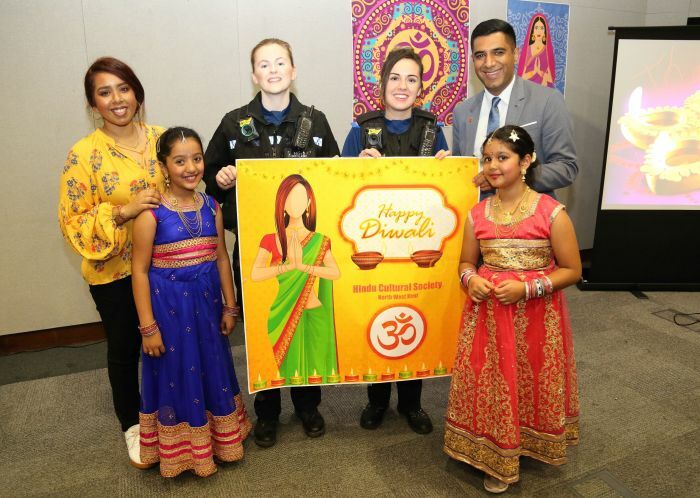 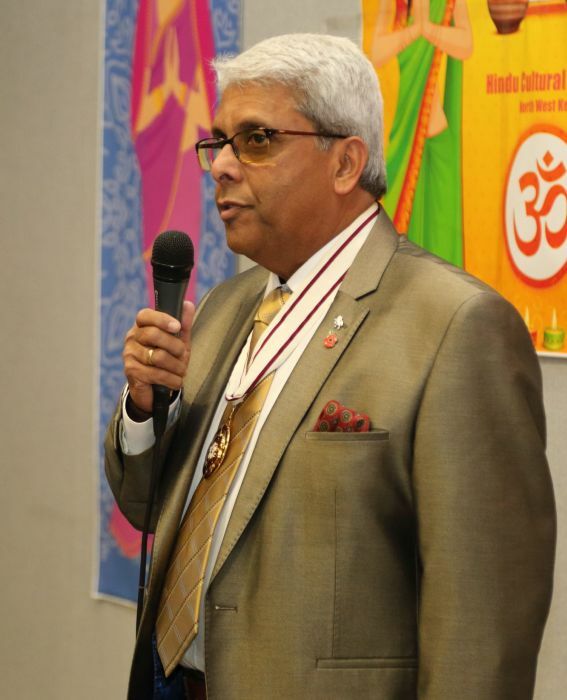 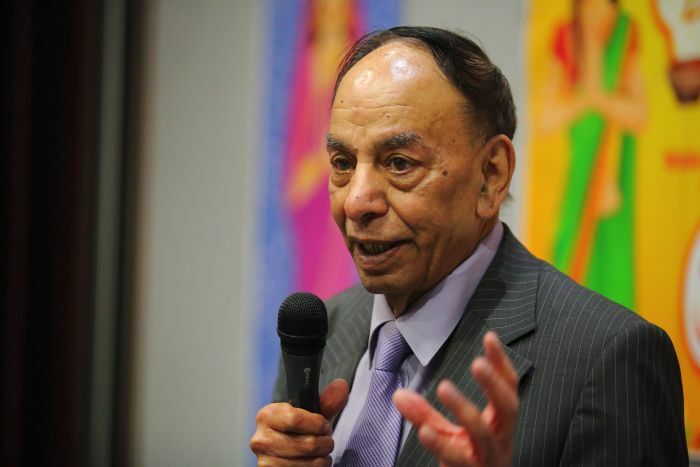 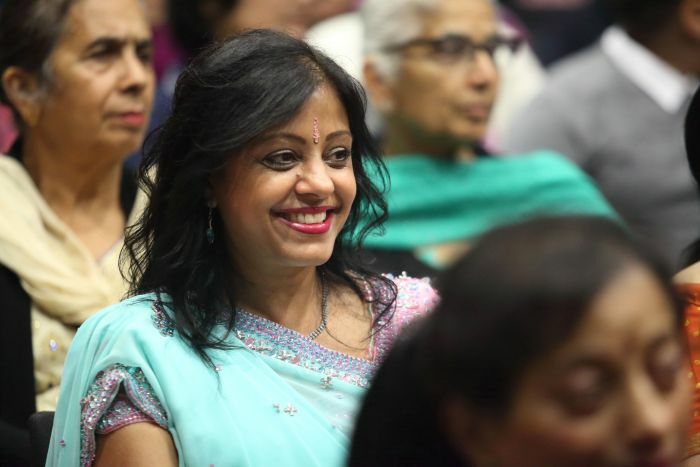 Once the celebrations finished inside, a community parade led by the Hindu Cultural Society featuring the Mayor, Deputy Lord Lieutenant and guests went from the Community Square to the Hindu Mandir.